The wagon may be a dying breed, slowly bled out by the rise of the crossover – but it’s not dead yet. At least not as far as Toyota is concerned, for the European market. 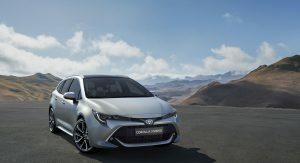 The Japanese automaker has revealed the first images and details of the new Corolla Touring Sports, a longer version of the hatchback revealed at the Geneva show earlier this year. 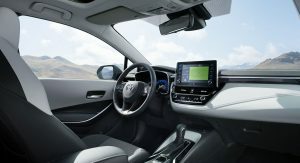 Now stretched out to offer increased versatility and interior space, the all-new Toyota Corolla Touring Sports is set to debut a month from now at the Paris Auto Show. 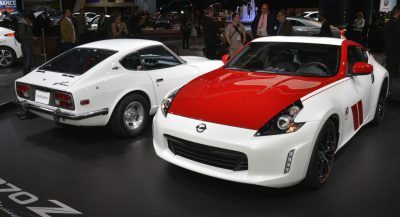 It’s been developed in Europe for the European market at the company’s new Zaventem Design Centre in Belgium. 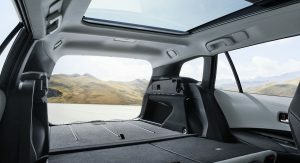 The elongated roofline rides on a 2700mm (106”) wheelbase to offer what the manufacturer touts as “best-in-class rear seat passenger legroom” and 598 liters (21 cubic feet) of cargo capacity. That may not be as much as a taller crossover SUV, but it ought to make the new Corolla an even more enticing prospect to those seeking a bit more space in their compact car. Otherwise it’s essentially the same car as the hatchback, offering an array of powertrain options. 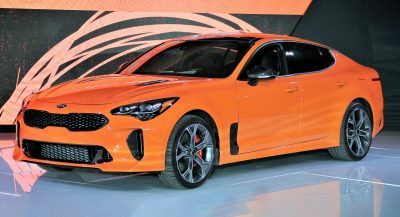 No diesels, just one gasoline engine – a 1.2-liter turbo with 116 hp (86 kW) – joined by two hybrid options: a 1.8-liter unit with 122 hp (91 kW) or a 2.0 with 180 hp (134 kW). The multilink rear suspension and available adaptive variable setup ought to help keep it stable, even with a full load in the back. 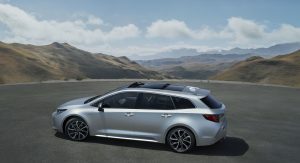 The Touring Sports model will also offer four two-tone finishes, thanks to the availability of a black roof and pillars. 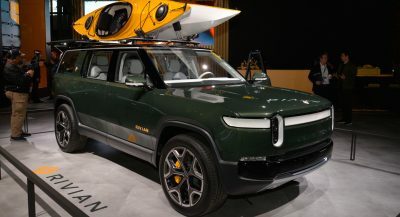 We’ll have to wait on further details to be revealed closer to its debut in Paris, but the bottom line is that European wagon fans can rest easy with the imminent arrival of the new model on the marketplace. if this is a production version, it looks to be a very big hit. Could it be the first Corolla Wagon in 20 years that has the right proportions? I do like it. But let’s wait for the real thing – sometimes the photographers are better than the designers. Estate is the European name. Wagon is used everywhere else. You know what he meant, STFU. I’m glad someone else noticed how terrible Toyota’s proportions tend to be. Even when their front and rear fascias were attractive, something in the overall shape was amiss. YEYE! WE CAN FINALLY MAKE COROLLA JOKES AGAIN! :p The Auris name wasen’t so great to joke with… i mean, Auris mean gold in latin … you knew that, didn¨t you? Looks great with the big alloys, however, you won’t actually see many on the road like this. Wait and see what the lower and mid-spec ones look like with smaller wheels. A handsome Toyota? Can it be??? Is this going to be the Toyota ‘Corolla Cross’ we’ll likely get here in NA? 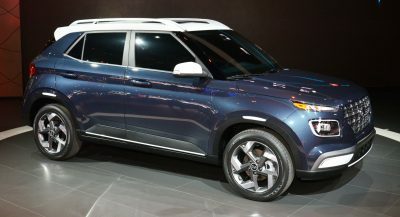 Regardless, with vehicles like the new Camry, the new Avalon, the new RAV4, and even predictably the entire lineup for the new Corolla…. it seems like Toyota is stepping up. LOOKS GOOD. YOU CAN PUT AS MUCH CRAP IN THAT AS AN SUV WITHOUT BLOCKING TRAFFIC OF THOSE BEHIND YOU. It will turn heads for sure! Good job, Toyota! Good looking wagon. Wonder if to the US in some form? Corolla’s have always been decent looking cars…this version is out of the park! did someone slap a ugly stick to the front of it? Of course they won’t import it to the USA. I don’t get it. At least give it a chance. They had to give it lobster claw tail-lamps though. Seriously, can’t they think up something new for a change?